Numix is a very popular theme and Icon Theme in Ubuntu linux. Numix project is recently working on a linux variant like Elementary OS. Numix Bluish is a variant of Original Numix Theme. Numix Bluish is a flat theme with Light and Dark Elements. it supports Gtk 2/Gtk 3, Xfce, Unity, Openbox, and it also works well in Gnome Shell/Gnome Classic/Mate. A good icon set like Numix or Moka Icon theme will make the theme vibrant in every desktop. 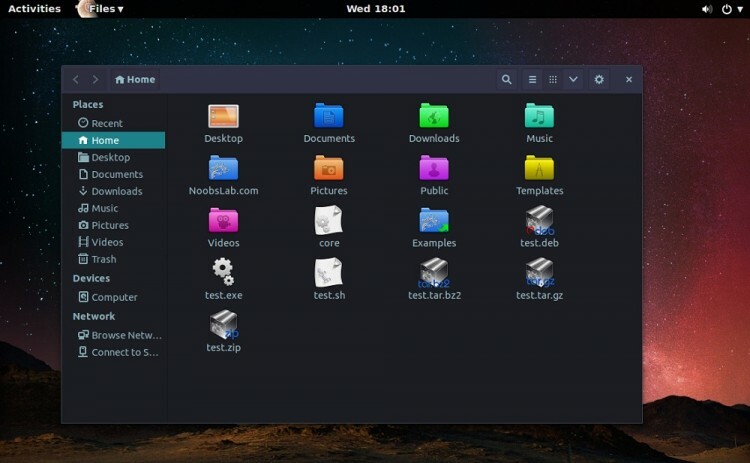 Noobslab have a PPA to install this theme on Ubuntu 14.04. To install the theme add the PPA to your system then update system and install the numix-bluish the commands are given below. To install the Numix Circle icon set there is a PPA from Numix team. The commands to install the icon set is given below. The theme contains Folders icons, System Settings icons, Indicator icons, Symbolic icons, and a lot more. With so many supported app icons it is very vibrant and works seamlessly with Ubuntu.